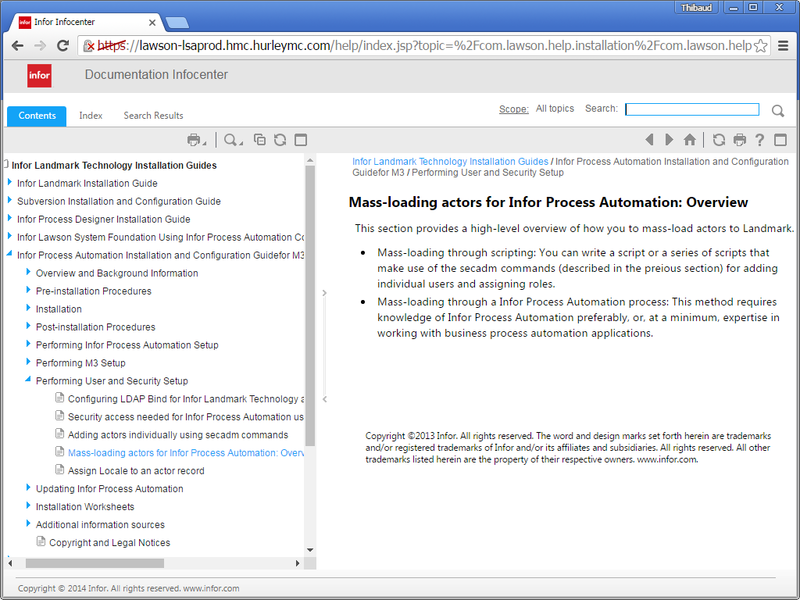 I re-discovered a technique to synchronize users between Infor M3 and Infor Process Automation (IPA) using IPA’s web based administration tools. It is now my preferred technique for the initial mass load of users, whereas previously in part 2, I had been using command line tools. 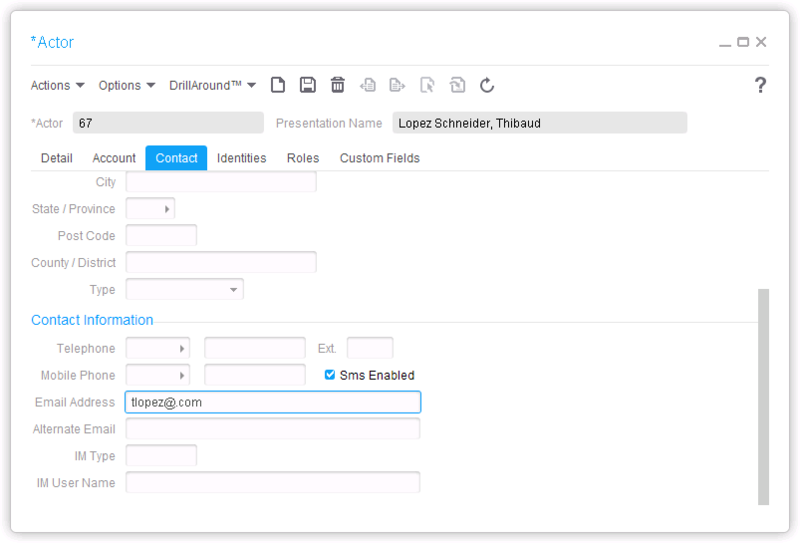 The IPA web admin tools are located at http://host/UserManagement/home?csk.gen=true for the gen data area, to create the Identities, Actors, Actor-Identity, and Actor-Roles; and at http://host/lmprdlpa/LpaAdmin for the environment data area – PRD in my case – to create the Users, Tasks, and User-Tasks. 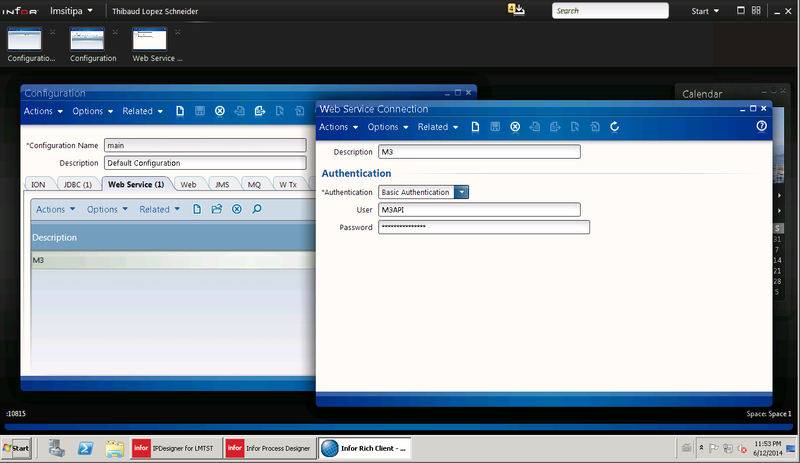 It is the same as the IPA Rich Client Admin but web-based instead of Java GUI based. I manually created users in the IPA web admin tools, intercepted in Fiddler the HTTP requests of each action, replayed the POST requests in Fiddler Composer, and repeatedly pruned the unnecessary data away until I identified the minimum set of values. Here below is the result. 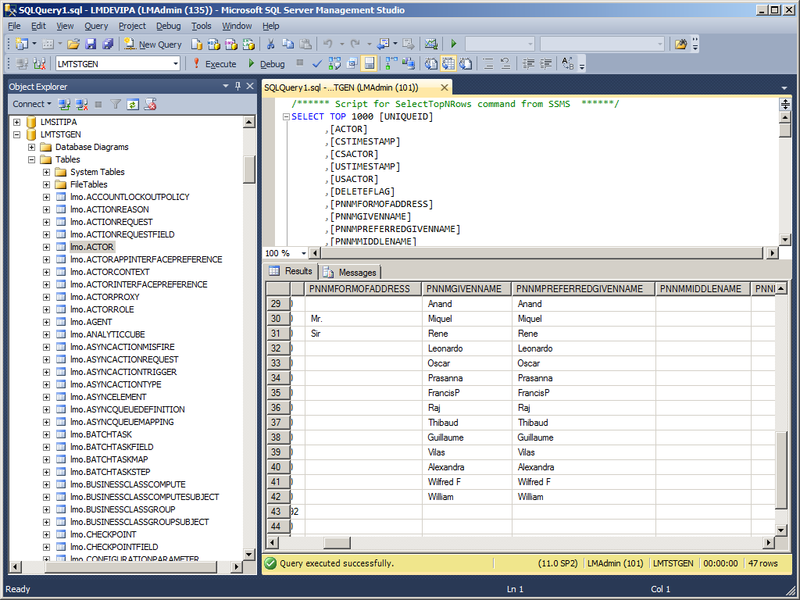 It supposes you already have an array of users which you can generate with SQL or M3 API (from MNS150 and CRS111). 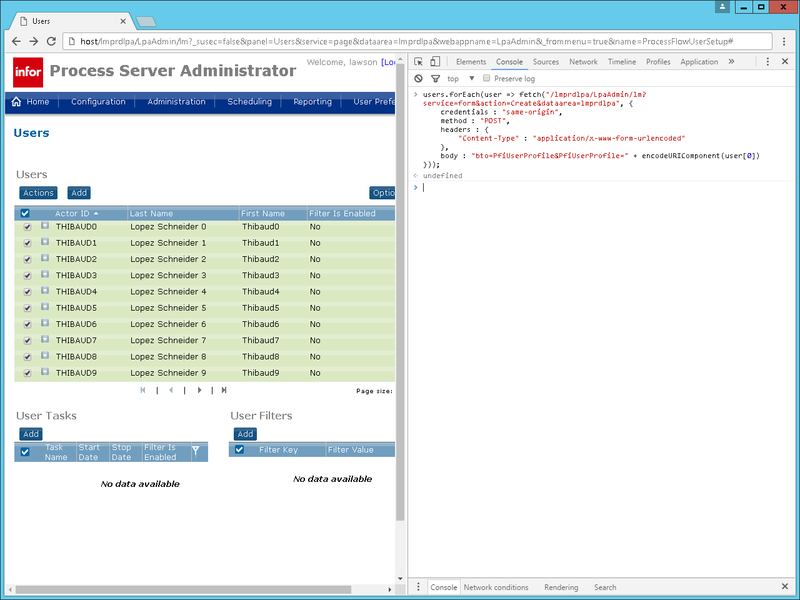 I posted the source code WebAdmin.js on my GitHub repository. I will update the source code there. This is yet another technique to synchronize users between M3 and IPA. I find it easier than the command line tools I was using previously. Follow the progress on the GitHub repo. That’s it! Please like, comment, subscribe, share, and author with us. 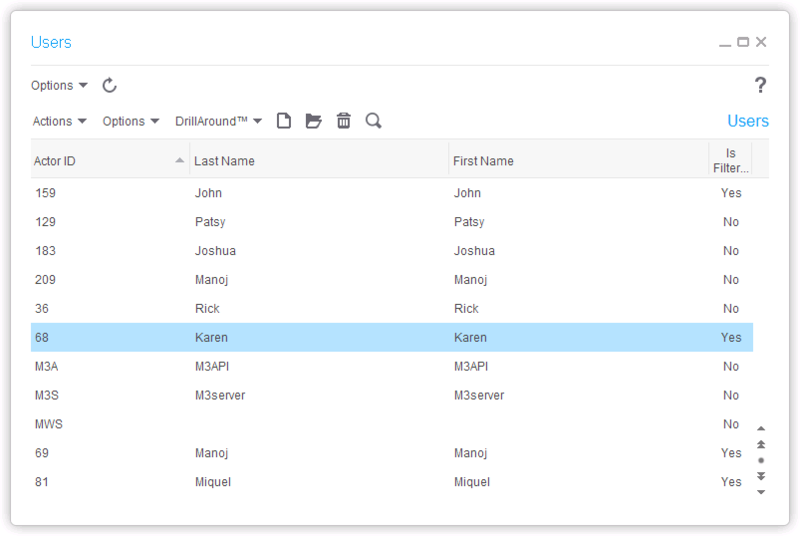 Now I will do the incremental backup of M3 users and roles. Refer to part 1 and part 2 for the background. Design decisions: Pull or Push? We can either make IPA pull the data from M3, or make M3 push the data to IPA. 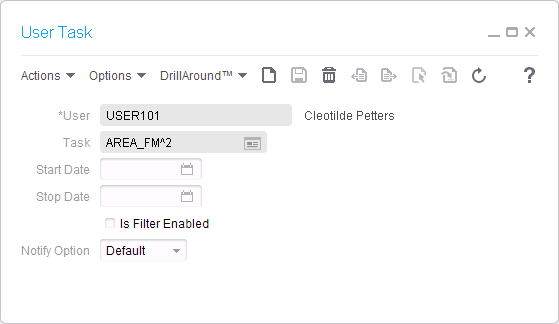 We can make a process flow with SQL queries that pull data from M3, creates or updates the respective record in IPA, scheduled to run at a certain frequency, e.g. once an hour. It is the simplest strategy to implement. But it is not efficient because it re-processes so frequently thousands of records that have already been processed. And it does not reflect the changes of M3 sooner than the scheduled frequency. And each iteration causes unnecessary noise in the IPA logs and database, so the less iterations the better. 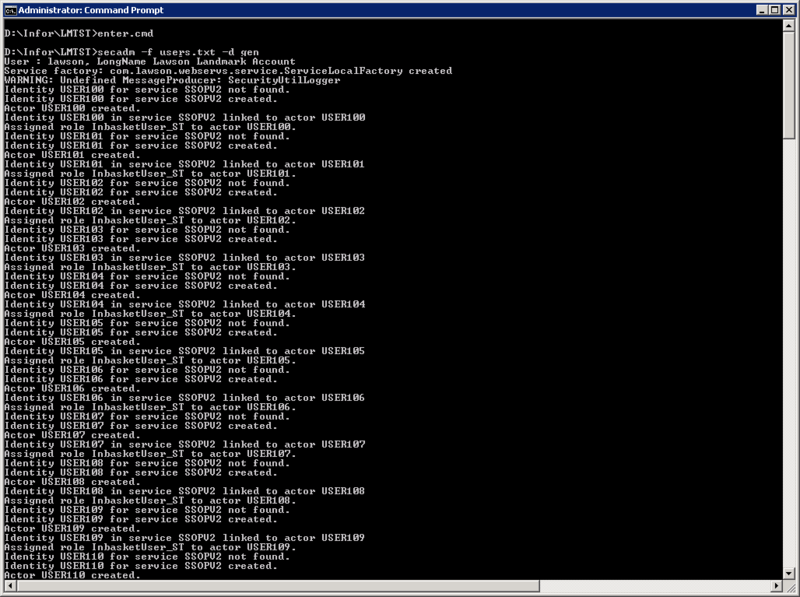 And IPA is already slow and inefficient for some reason, so the less work in IPA the faster it is. And after an undetermined amount of work, IPA becomes unstable and stops responding after which we have to restart it, so the less work in IPA the more stable it is. 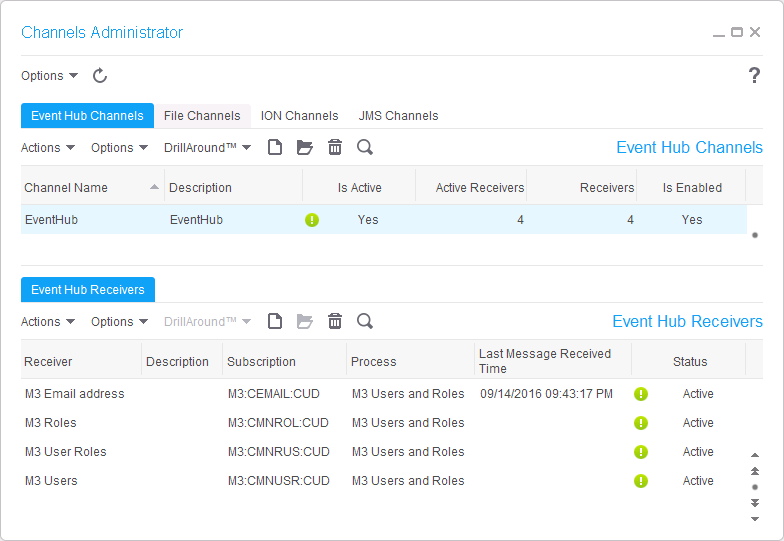 We can also make a series of Event Hub subscriptions and a process flow with Landmark activity nodes. It will reflect the changes in IPA virtually immediately, faster. And it will operate only on the record being affected, not all, which is efficient. I will use a mix: I used the pull strategy for the initial mass load (see part 2), and here below I will use the push strategy for the incremental backup. 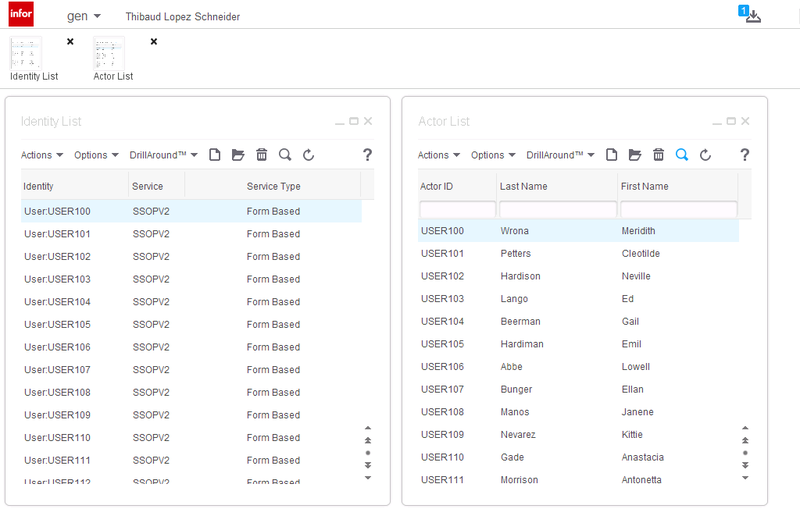 The top section handles the M3 user (MNS150, CMNUSR) and the respective IPA identity, actor, actor-identity, actor-role, in the gen data area, and the user in the environment data area (e.g. DEV, TST). 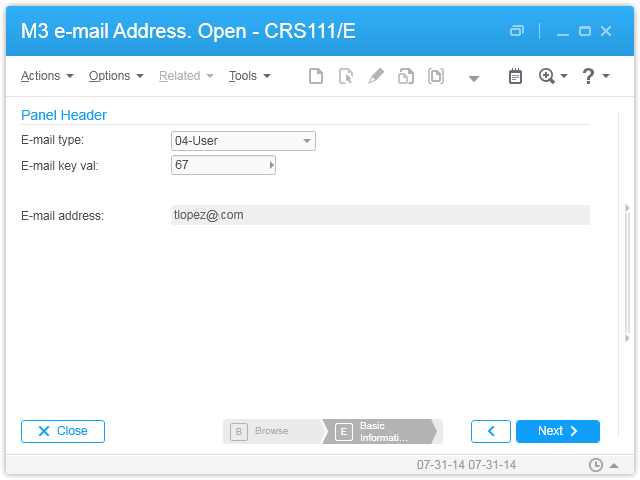 The second section handles the M3 email address (CRS111, CEMAIL, EMTP=4) and the respective IPA actor email address. The third section handles the M3 role (MNS405, CMNROL) and the respective IPA task. 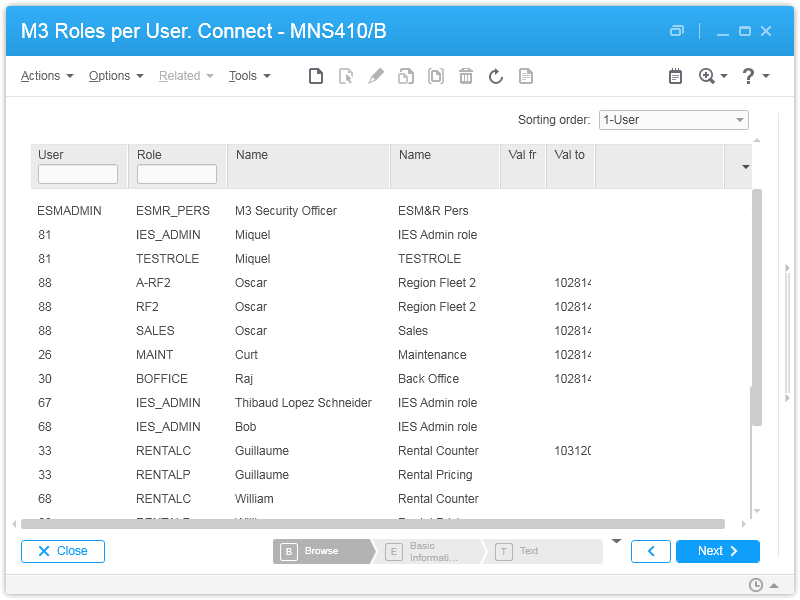 The bottom section handles the M3 user-roles (MNS410, CMNRUS) and the respective IPA user-tasks. 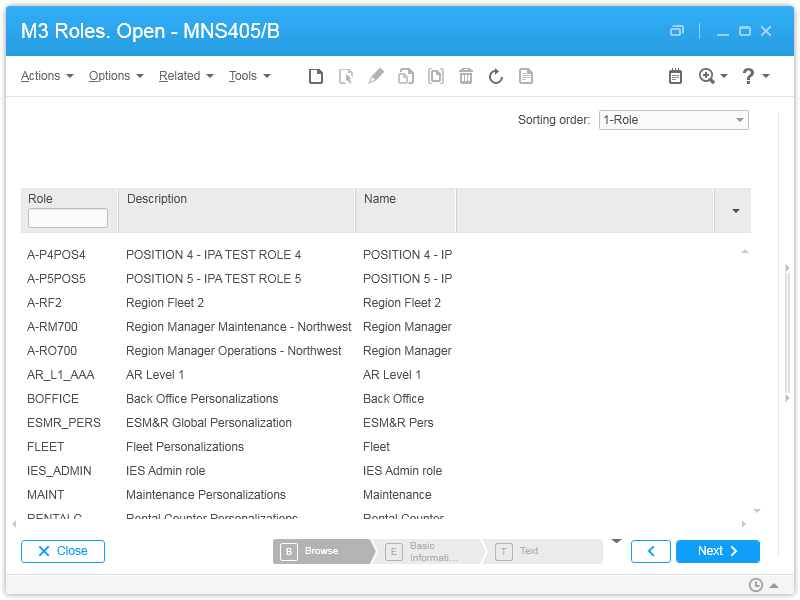 Each section handles the M3 operations: create, update, and delete. I merged everything in one big flow, but we could split it in individual flows too. 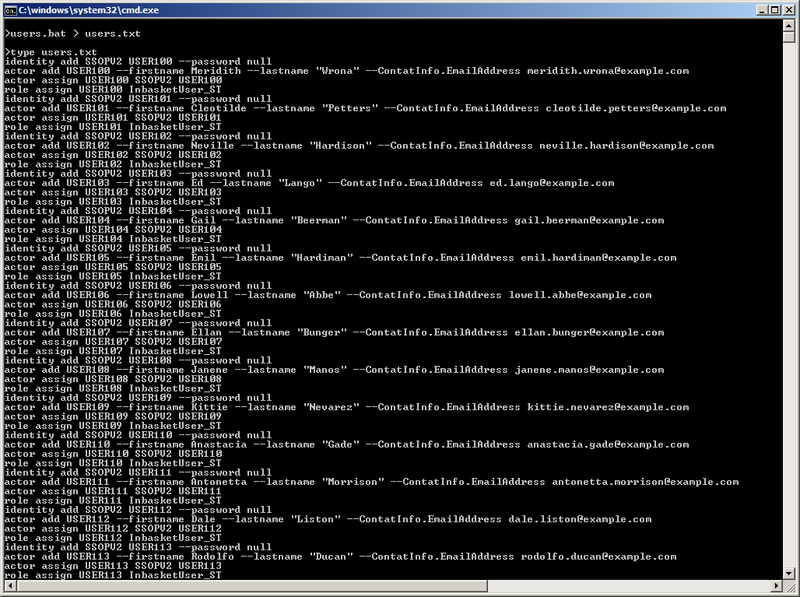 I upload the process with logs disabled to avoid polluting the logs and database. You can download the process flow source code on my GitHub here. 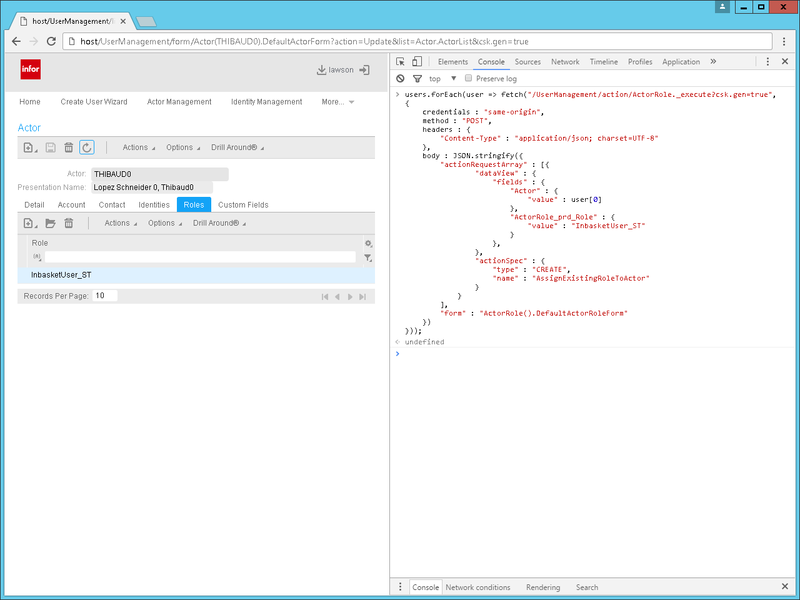 Deploy the process flow, and setup the event hub subscriptions on each environment data area (e.g. DEV, TST). 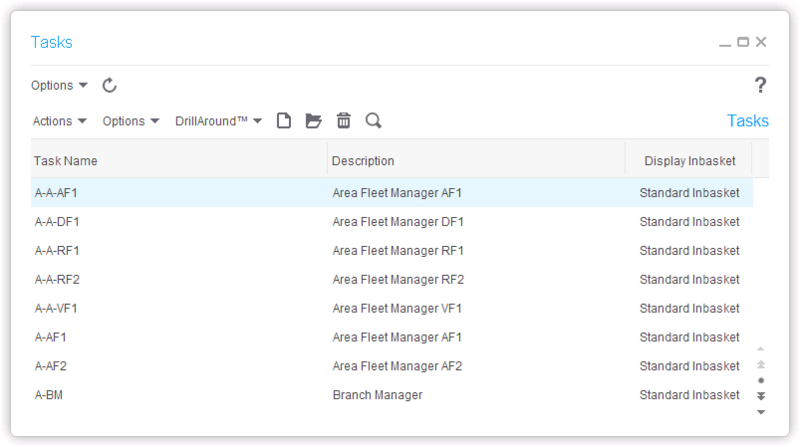 Refer to the challenges section in part 1 for the limitations, notably the data model dissonance which will cause collisions, the out-of-order execution which will cause inconsistencies, and the constraint mismatch which will cause failures. 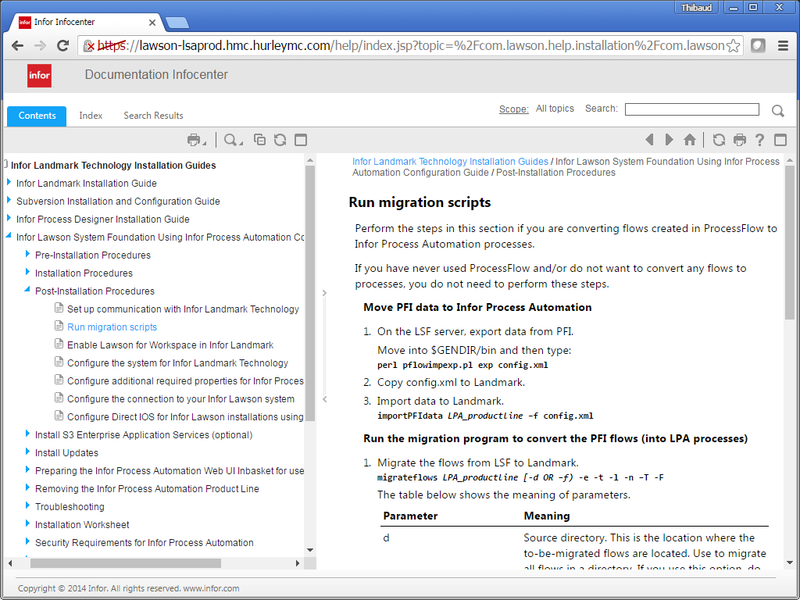 Prevent deleting the administrative users M3SRVADM and lawson. 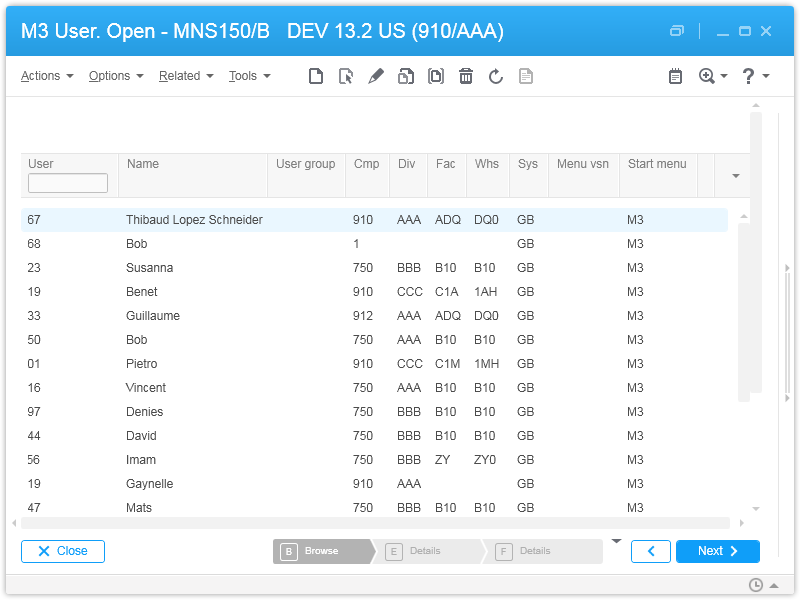 This three-part blog post was a complete solution to do unidirectional synchronization of users between M3 and IPA, by means of an initial mass load via the command line, and an incremental backup via a process flow and Event Hub subscriptions. Unfortunately, Infor does not have complete documentation about this, there are serious shortcomings, and IPA is defunct anyway. 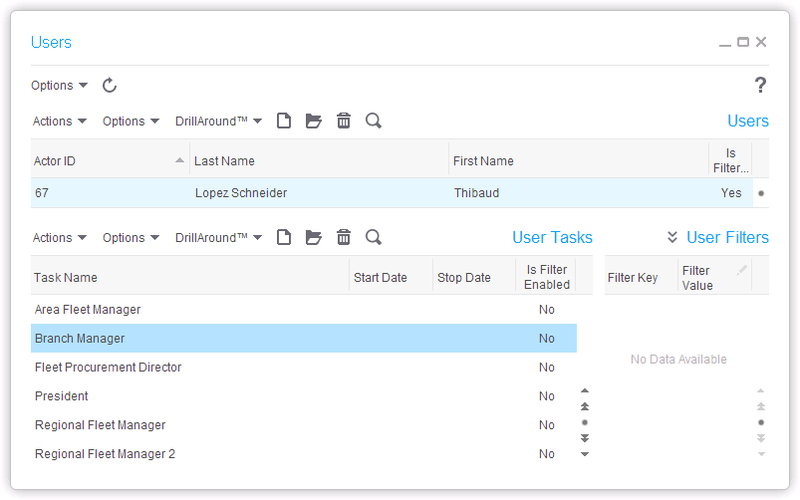 Also, check out the valuable comments of Alain Tallieu whom takes user synchronization to the next level. Please like, comment, follow, share, and come author with us. Now I will do the initial mass load of users. 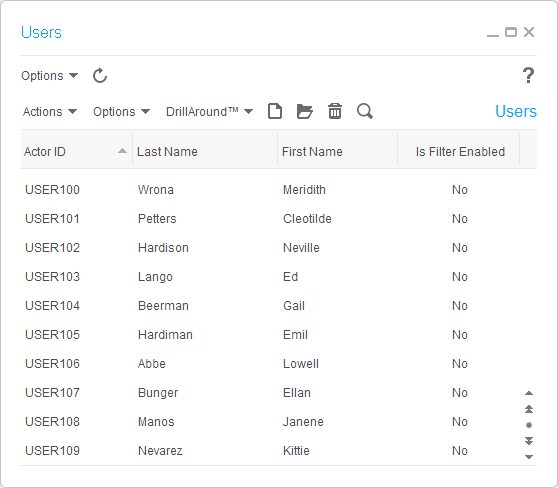 As a reminder, we create the identities and actors in the gen data area, and the users and tasks in the environment data area (e.g. DEV, TST). For more information, refer to part 1. Design decisions: Command line or process flow? 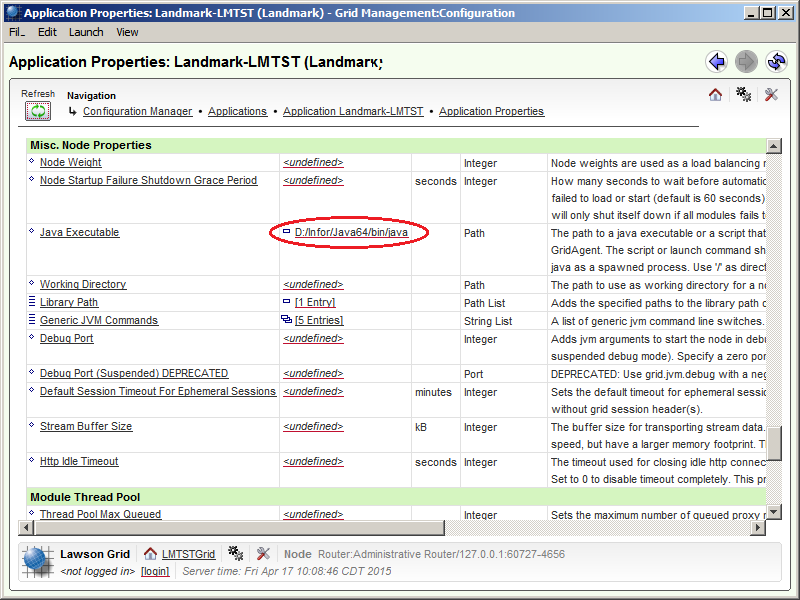 We could use either the command line or the Landmark activity node in a process flow. I will explore the former now, and the latter next time. 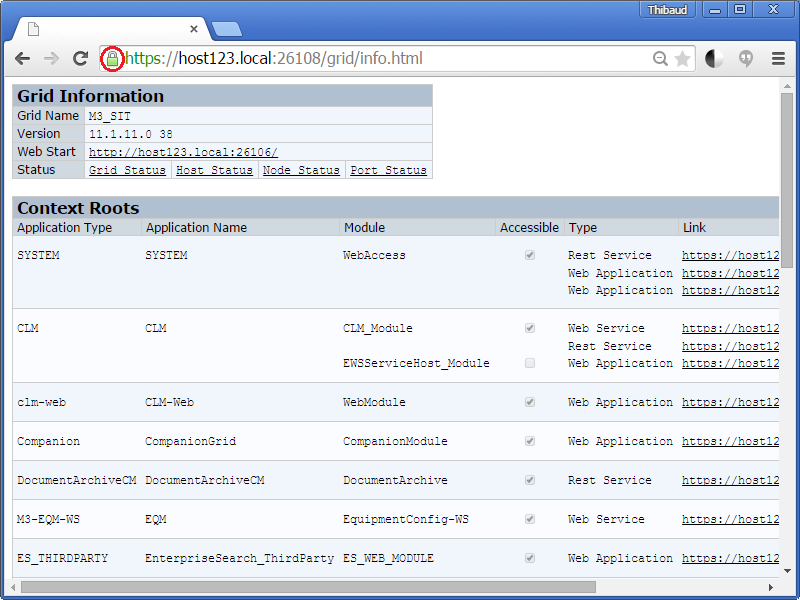 Note the command line is not available in Infor CloudSuite. 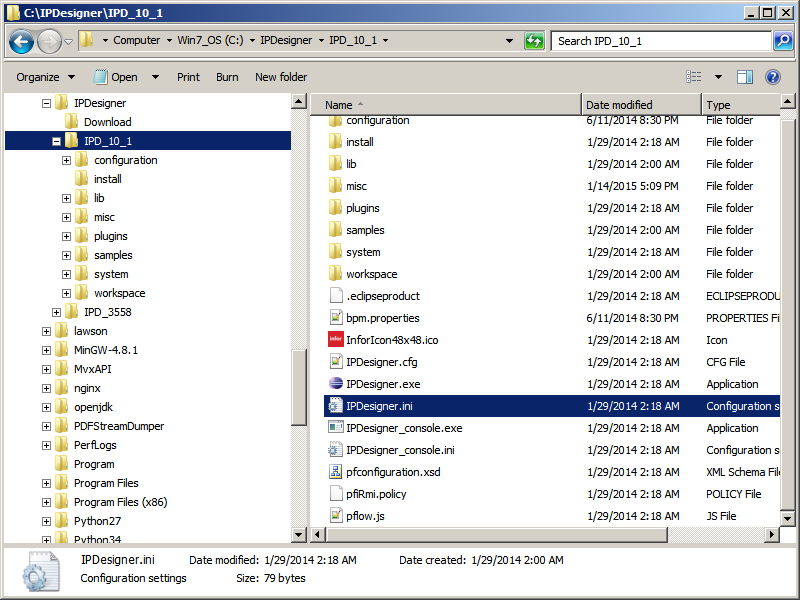 I will generate a file of identities and actors, reading from M3, and I will use the secadm command to import the file to the gen data area in IPA. Note: If you already know the subset, you can filter the list to only the users that will participate in approval flows, and discard the rest. PROBLEM: M3 is environment specific (e.g. DEV, TST), but the gen data area is not. And M3 is company (CONO) specific, whereas IPA is not. So we will have collisions and omissions. 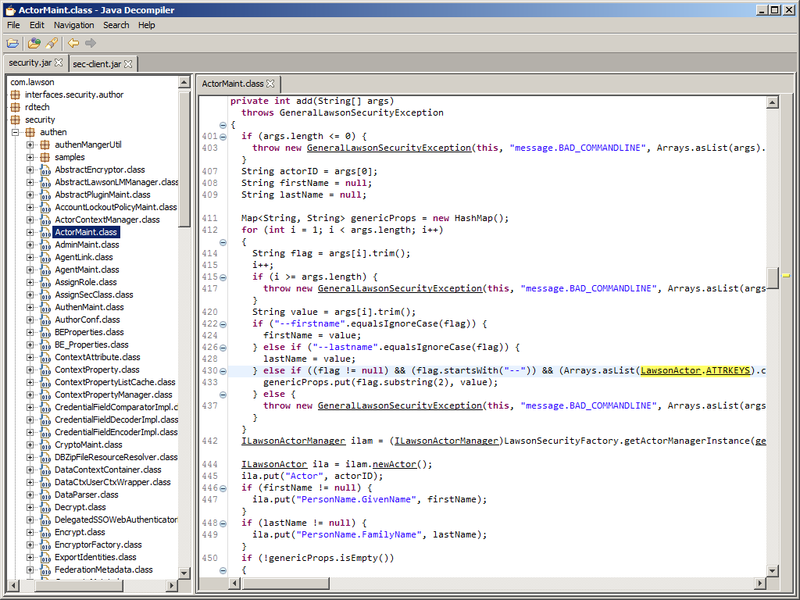 Note 1: Replace delims with the delimiter of your file (e.g. semi-colon in my case). Note 2: The command will naively split the name TX40 in two, where the first word is the first name and the rest is the last name; this will be an incorrect split in many cultures. Repeat from step 1.2 for the next environment (e.g. DEV, TST). Due to the data model dissonance between M3 and IPA, there will be collisions; see the challenges section in part 1. To delete the records, proceed in reverse with the remove and delete sub-commands and the –complete argument. 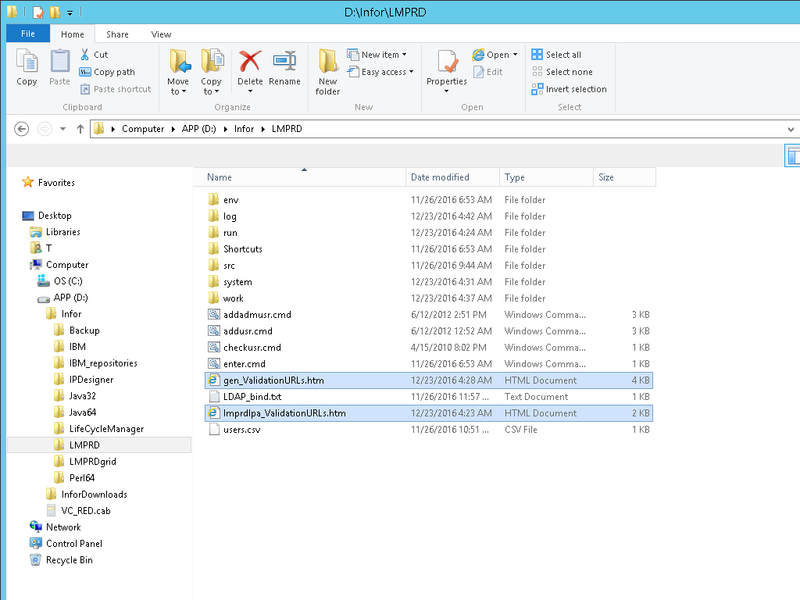 Be careful to not delete the administrative users M3SRVADM and lawson. I could not find a command to update the Actor; for future work; meanwhile, delete and re-add. 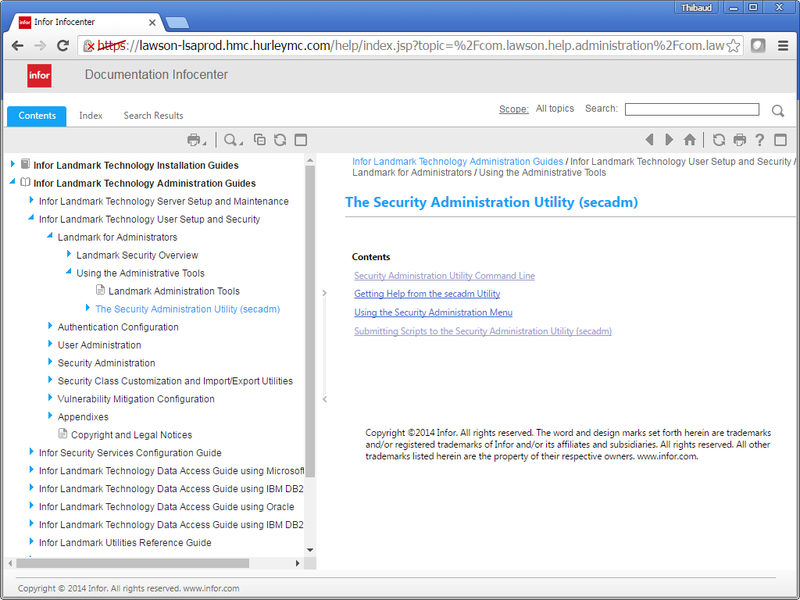 Usage: Utility for security administration. accountlockoutpolicy Maintain system account lockout policies. 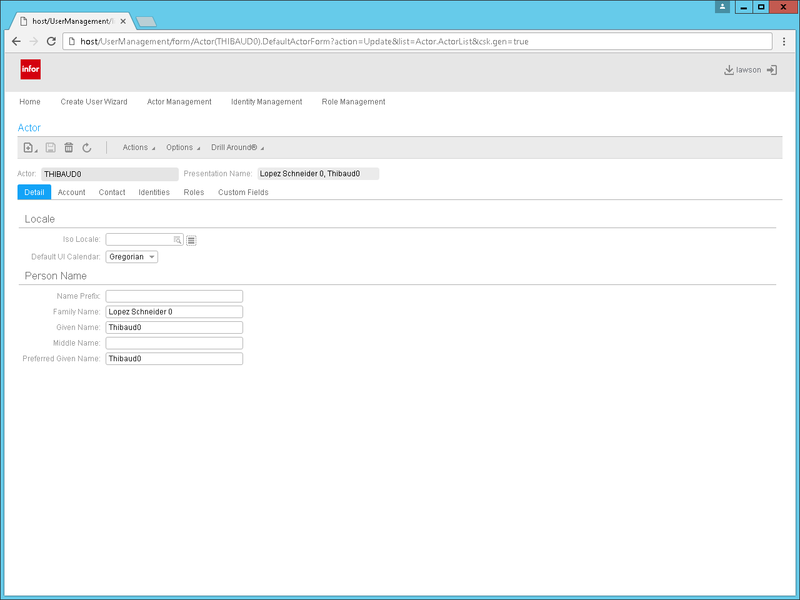 httpendpoint Maintain system HTTP endpoints and HTTP endpoint assignments. 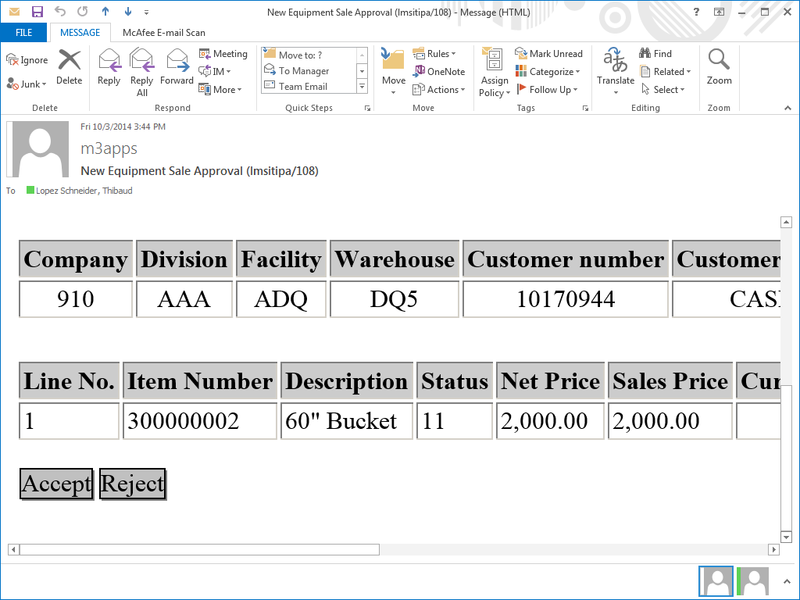 load Load data from a file. 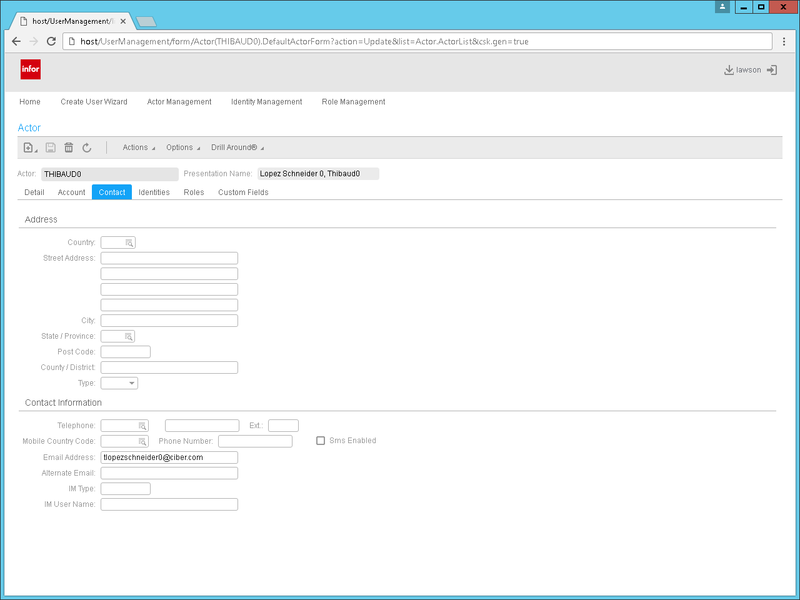 loginscheme Maintain system login schemes. passwordresetpolicy Maintain system password reset policies. 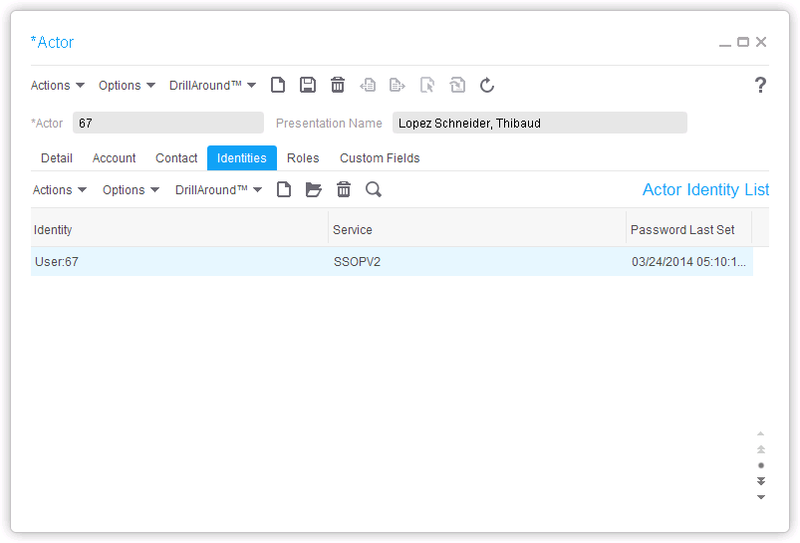 secanswer Maintain system security answers. 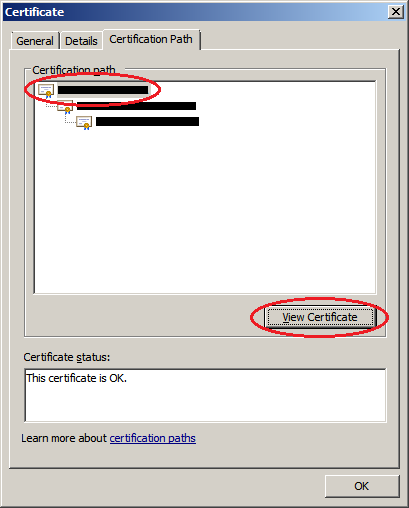 secquestion Maintain system security questions. 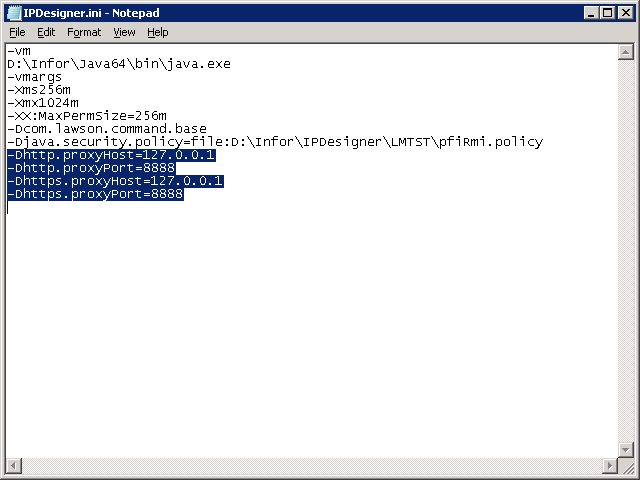 passwordpolicy Maintain system password policies. 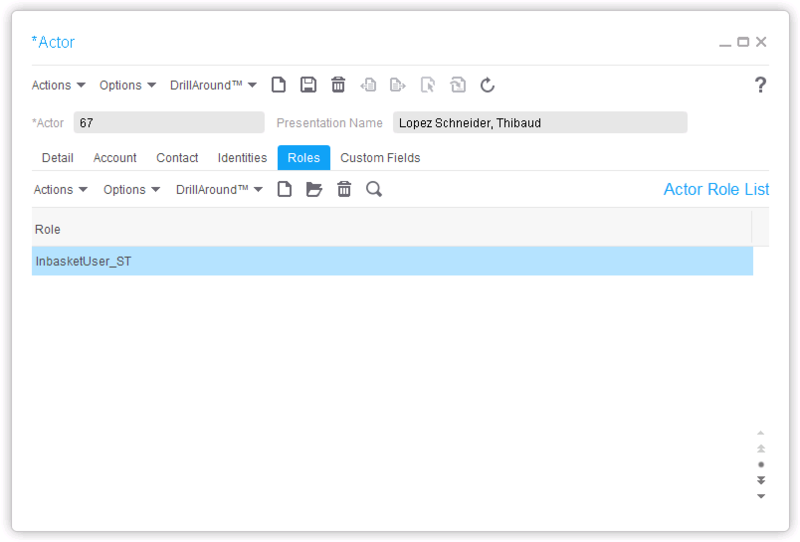 principalresolver Maintain custom Principal Resolver code. mitrustsetup Set up trusted connections for an MI socket service. add Add identity to the system. 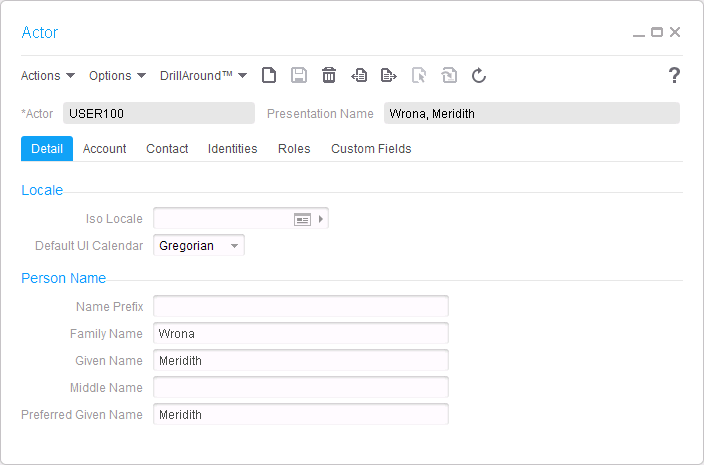 update Update identity in the system. delete Delete identity from the system. 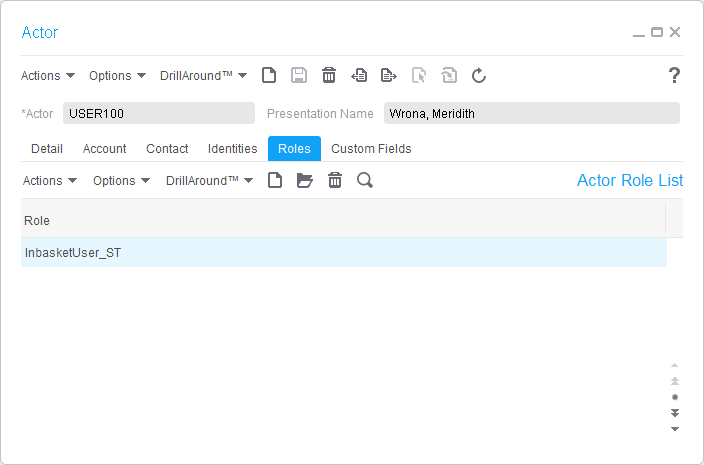 display Display identity in the system. 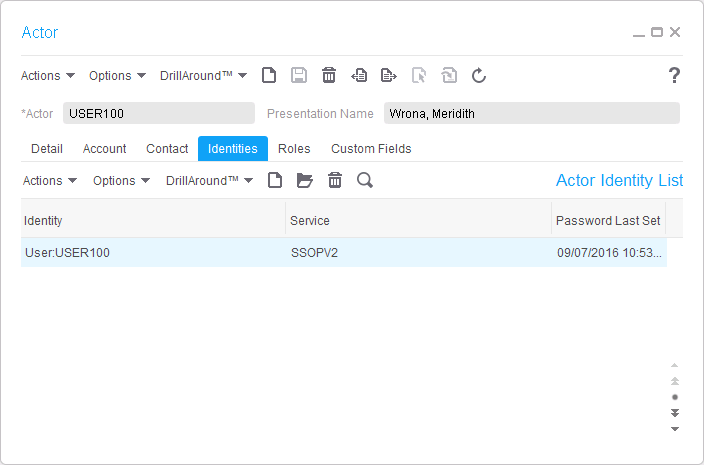 pwdResetByIdentity Password reset by identity in the system. 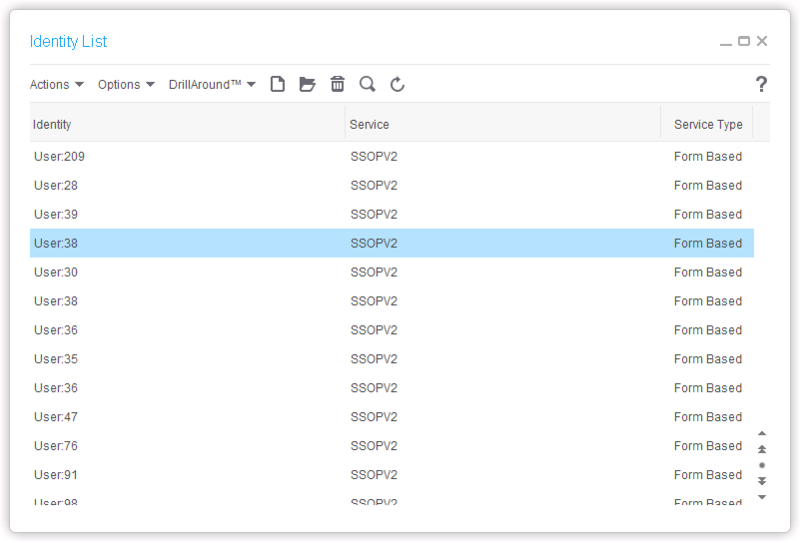 pwdResetByService Password reset by service in the system. 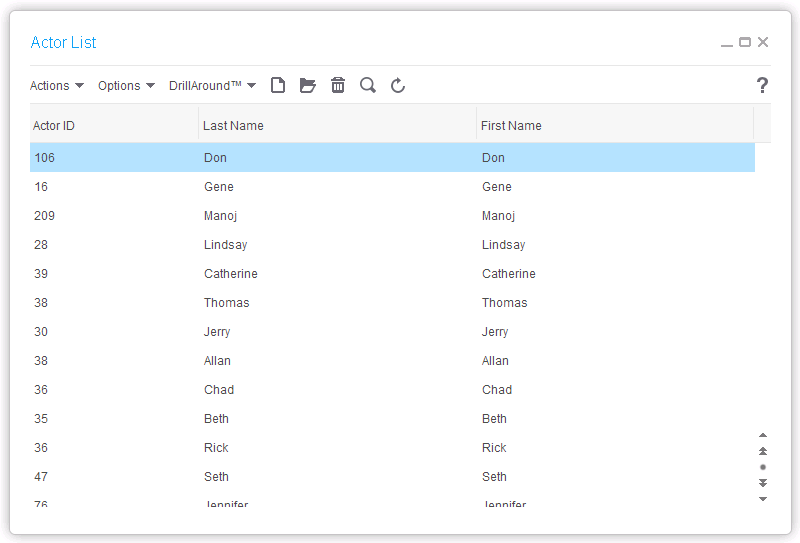 listIdentities List all identities in the system. add Add actor to the system. 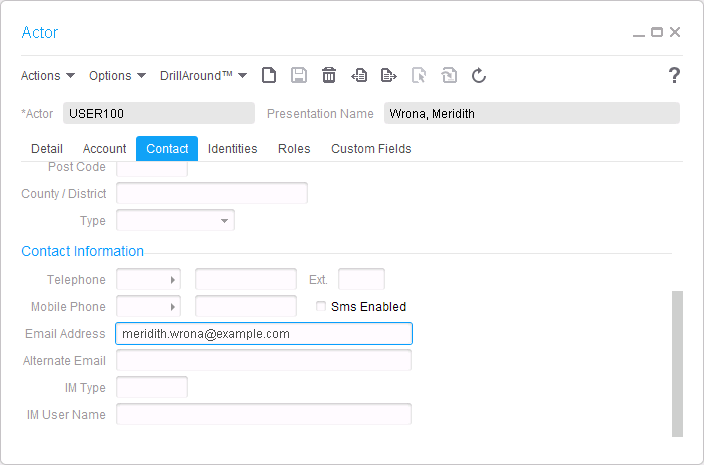 assign Assign Identity to an actor. remove Remove Identity from an actor. accountenable Enable actor account in the system. accountdisable Disable actor account in the system. enablerunas Enable Run As for Actor in the system. disablerunas Disable Run As for Actor in the system. actorenable Enable actor in the system. actordisable Disable actor in the system. 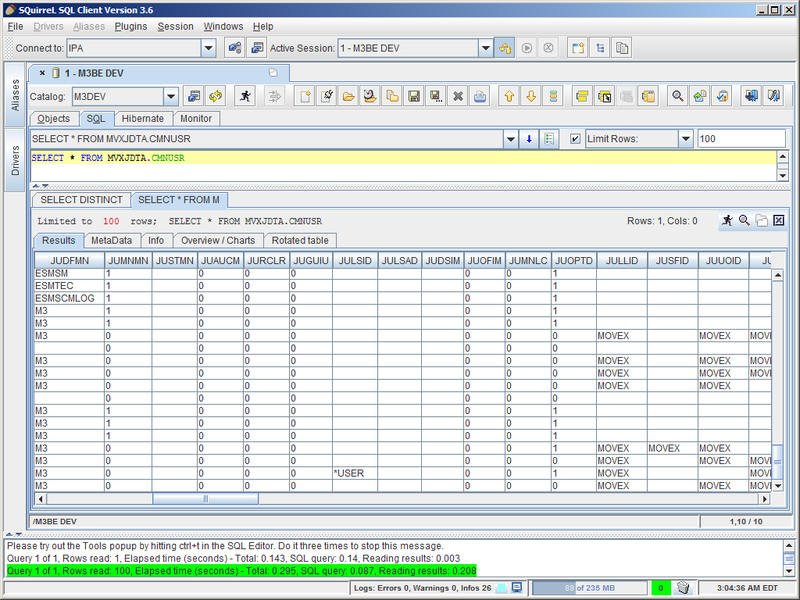 list List all actors in the system. Now, for each M3 environment (e.g. DEV, TST), I will generate a file of users and tasks, and I will call the importPFIdata command to import the file to the respective data area. 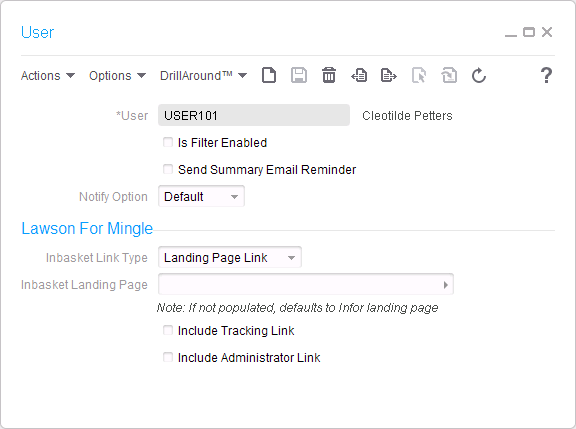 Note: If you already know the subset, you can filter the list to only the users and roles that will participate in approval flows, and discard the rest. Repeat from step 2.2 for the next environment (e.g. DEV, TST). I do not yet know how to delete via the command line; for future work. 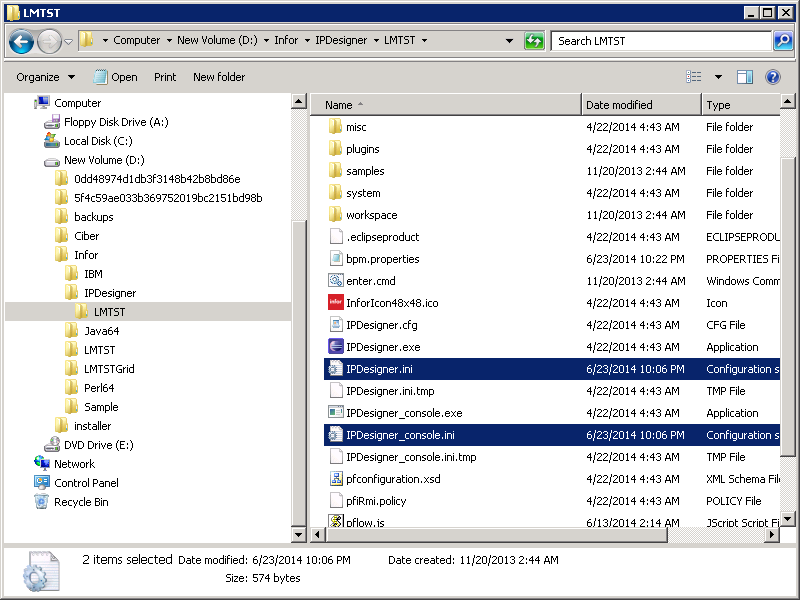 The importPFIdata command will automatically update the record if it already exists. I made a unified PowerShell script m3users.ps1 that I put on my GitHub. That was the initial mass load of users from M3 to IPA using the command lines secadm for identities and actors in the gen data area, and importPFIdata for users and tasks in each environment data area (e.g. DEV, TST). 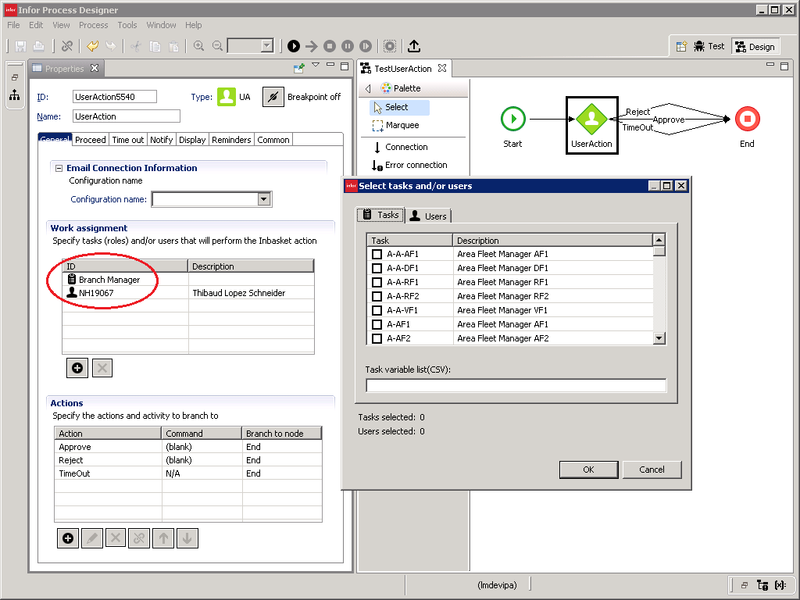 See part 1 for the overview of user synchronization between M3 and IPA. And read the comments by Alain Tallieu where he shares his experience and valuable tips. I will continue in part 3 for the incremental backup. 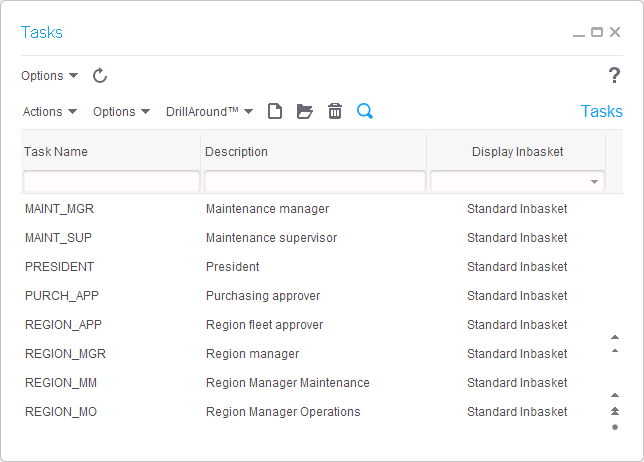 I return to Infor Process Automation (IPA) 😱 to develop approval flows for purchase orders in Infor M3 and to setup the users and roles that will take action in the Infor Smart Office (ISO) Inbasket. Note: The IPA product is dead and Infor is replacing it with ION, so my endeavor is obsolete; furthermore, the integration of IPA and ION with M3 is flawed by design at many levels, ergo working on it is flawed too; but my customer still uses IPA for M3, so I return. 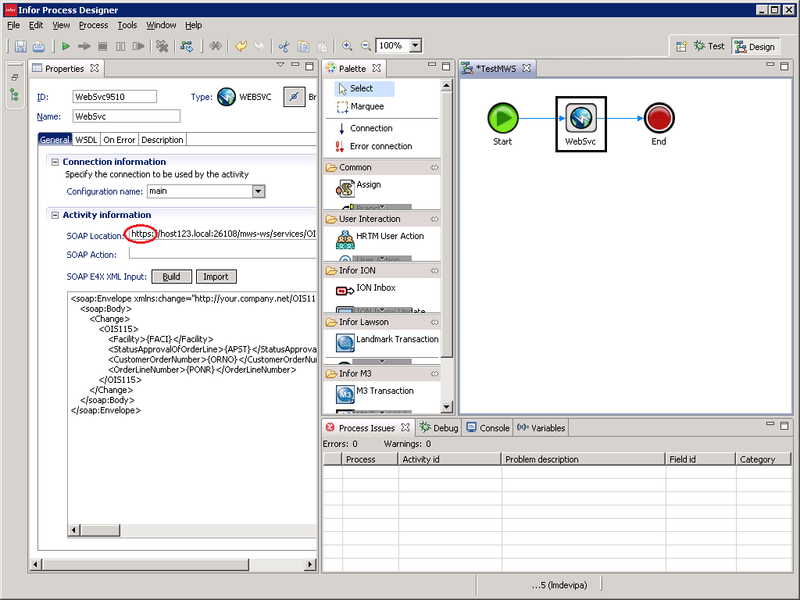 To avoid the error, we have to setup the user in IPA, even if the user does not need the Inbasket. 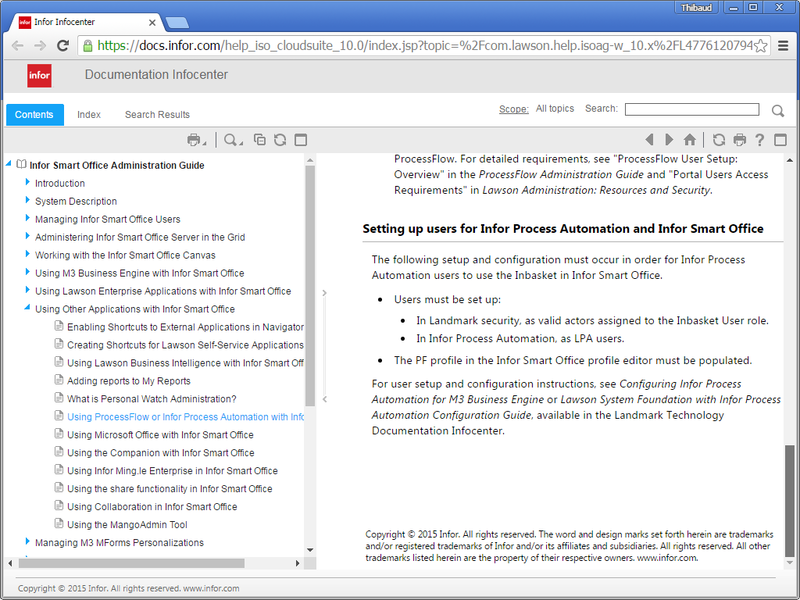 There are some workarounds: 1) setup two Smart Office Installation Points, with or without the Infor.PF10 feature, 2) setup two Smart Office profiles, with or without the PF configuration enabled, 3) setup the Mango.Core application settings to enable roaming profiles with or without the Process Server inbasket, 4) maybe use the Category File Administration for profile.xml with or without the Inbasket and Connect Roles and Users, etc. Each workaround has advantages and disadvantages. Nonetheless, we still have to setup at least those users that need the Inbasket. 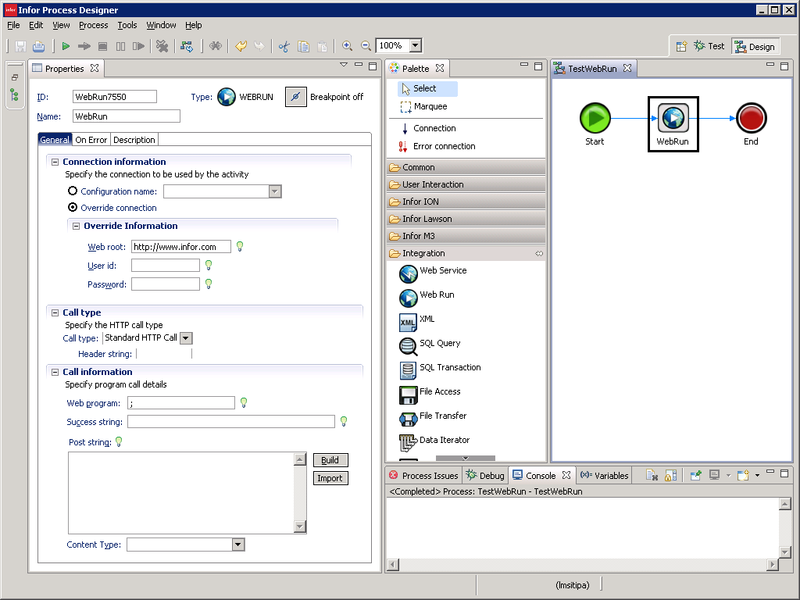 No users are setup in IPA upon installation, IPA is blank, and M3 and IPA do not have a built-in synchronization mechanism. 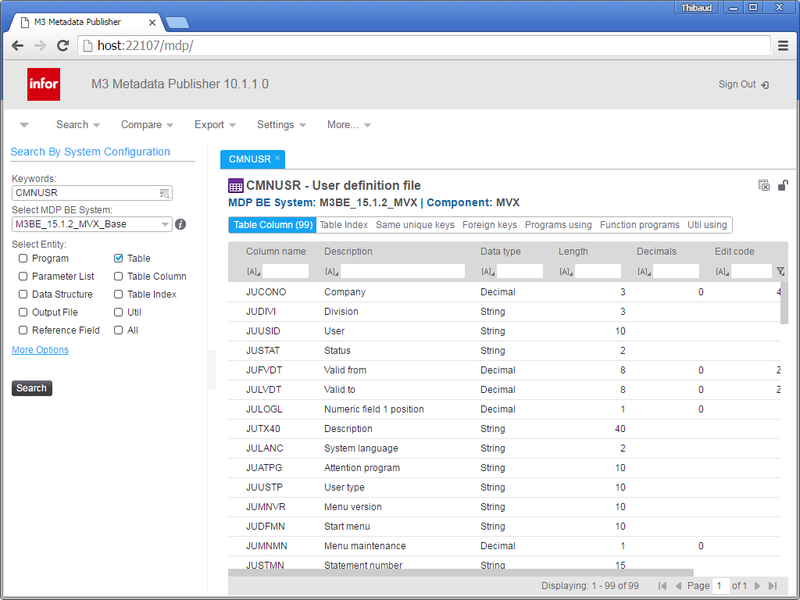 Hence, for every M3 user that needs the Inbasket, we have to setup the user in IPA. If we have thousands of users, it is too much work to do manually. I need an automatic solution. Note: as a consolation, at least we do not need to manage passwords in IPA as IPA has LDAP binding. I will implement a solution to automatically synchronize users between M3 and IPA. There is a constraint mismatch between M3 and IPA; e.g. let’s take the case of M3 users and roles (that’s users and tasks in IPA), and let’s suppose a role has one or more users connected to it (one-to-many relationship): in M3 we can delete the role, and M3 will automatically and recursively delete the user-roles associations; whereas if we try to delete the corresponding task in IPA, it will throw an error that associations exist, so we would have to recursively delete the associations ourselves. I just tested that; I have not tested the rest: identities, actors, etc. I will continue in part 2. 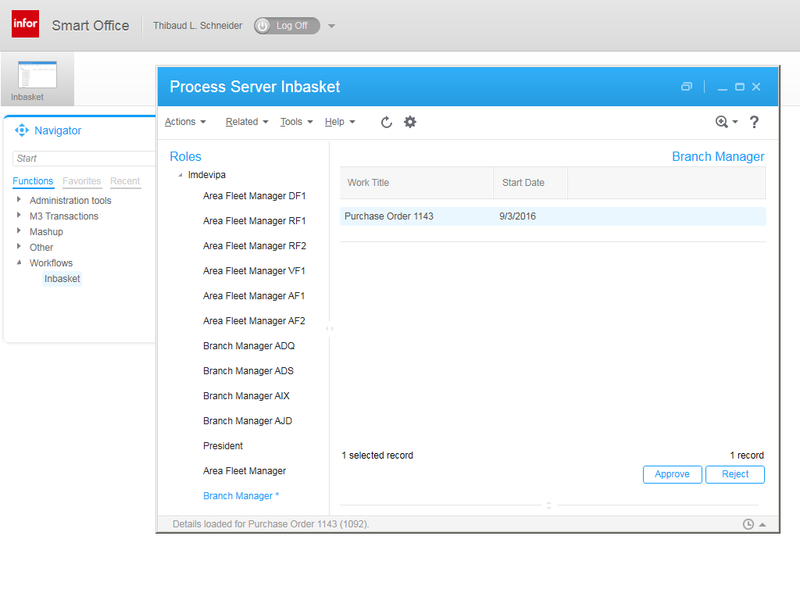 Infor Process Automation (IPA) communicates with other servers over the network – using for example the WebRun, Web Service, SQL Query, and Email activity nodes – but it lacks the ability to dump the network traffic for troubleshooting purposes. Here are my solutions. 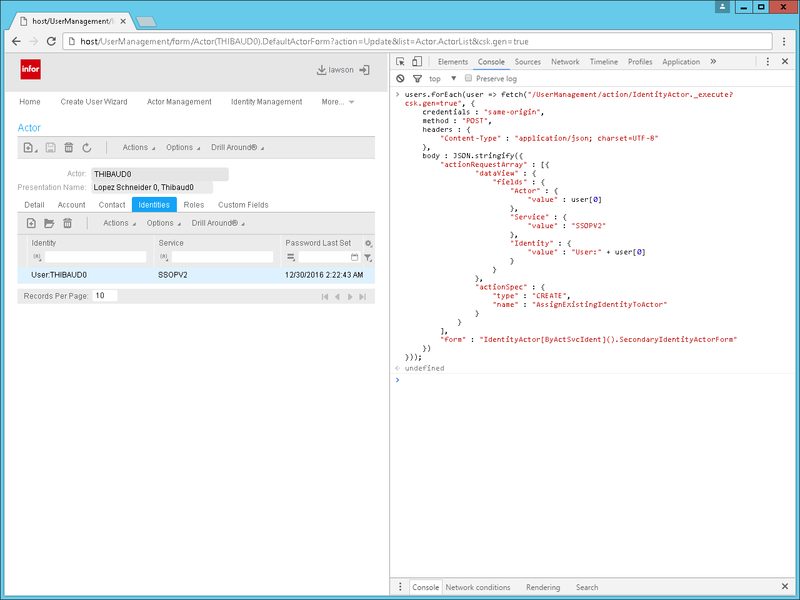 The SQL Query activity node uses JDBC. 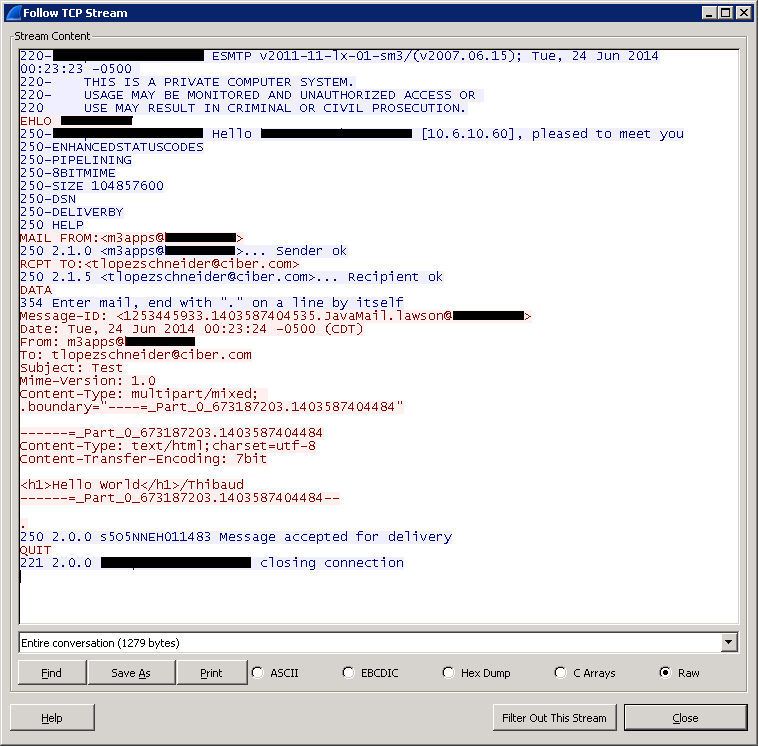 The Email activity node uses SMTP. 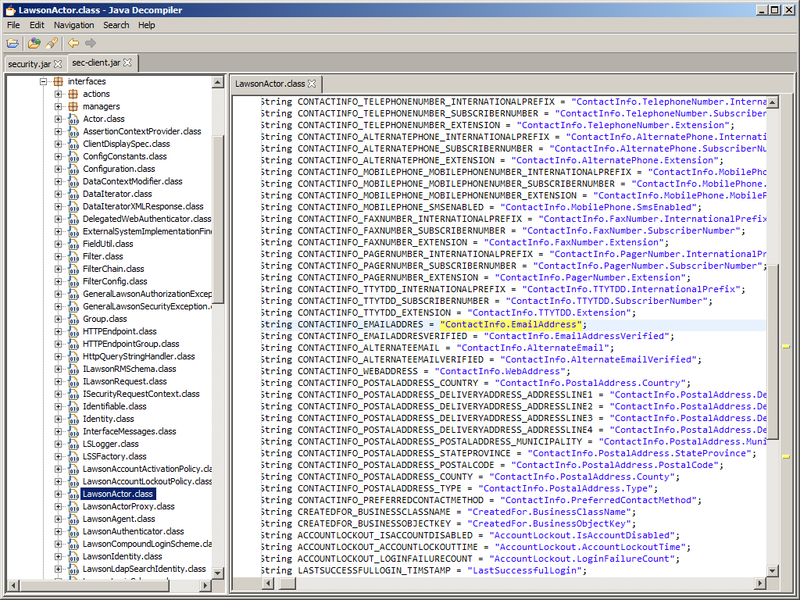 And IPA has other activity nodes for products such as Landmark, Lawson, ION, Cloverleaf. 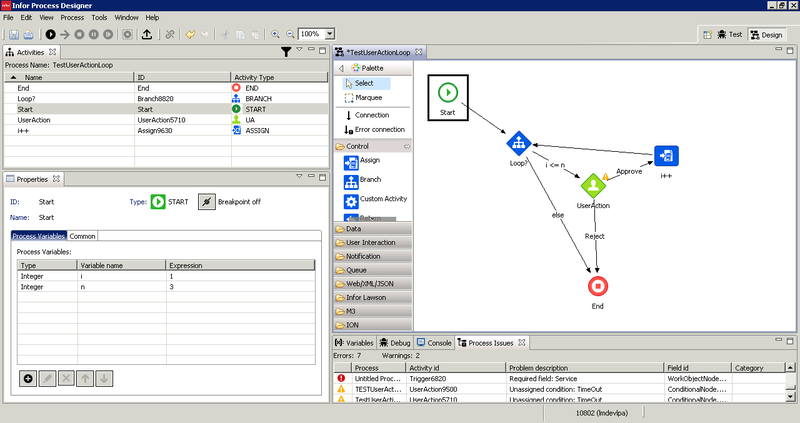 IPA and Infor Process Designer (IPD) will only show a fraction of the network traffic. 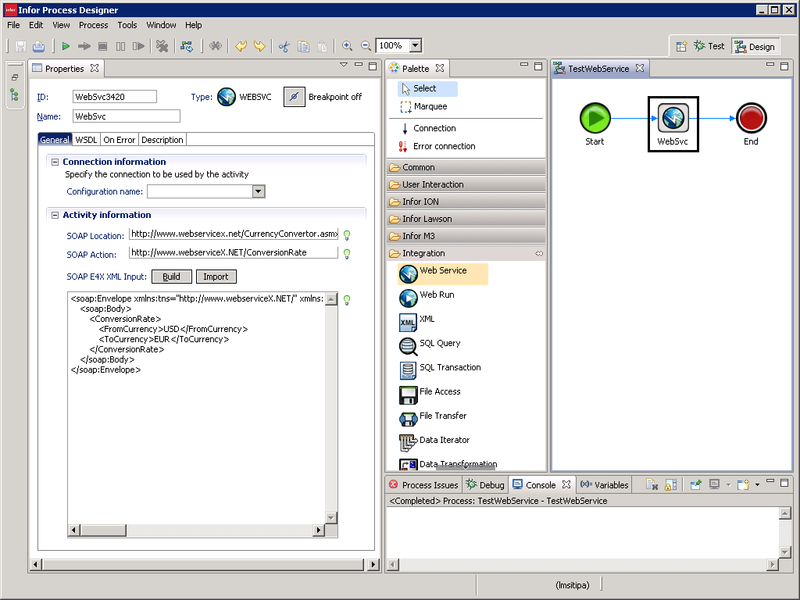 For example for the WebRun activity node it only shows the HTTP response body, and unfortunately it discards the rest of the useful information. 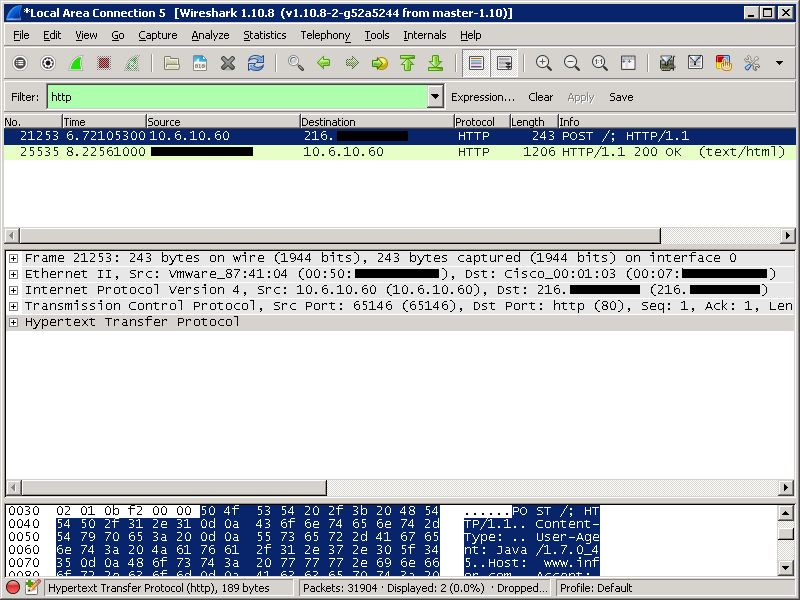 Wireshark can naturally intercept traffic from IPA and IPD. 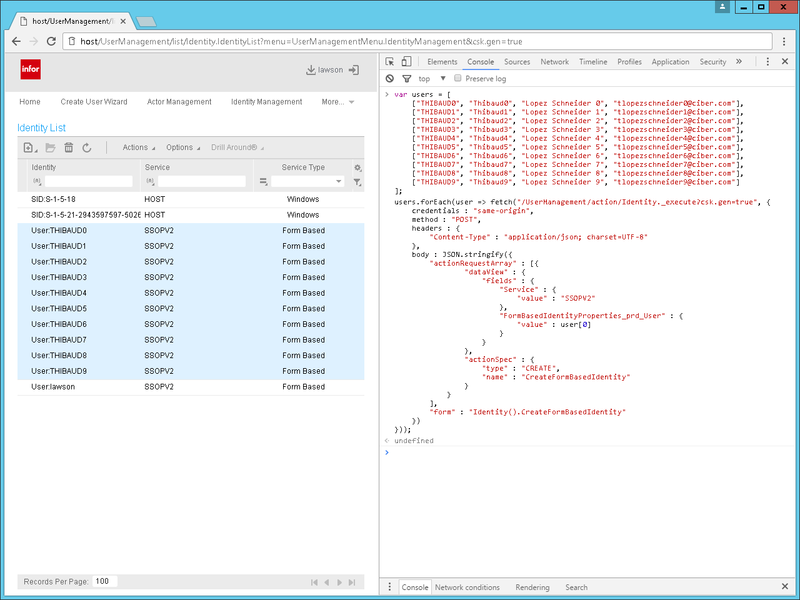 We get the entire HTTP request (header and body) and HTTP response (header and body). 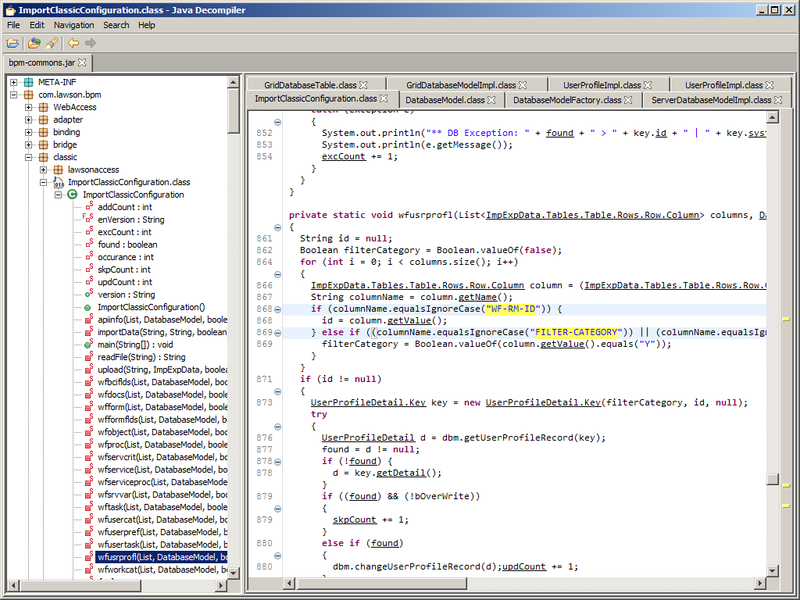 From that traffic we learn useful information about the WebRun activity node. For example, we learn what is the User-Agent String being used, we learn that IPA only uses the POST method (not GET), we learn that IPA automatically adds a leading slash to the URL path even if we don’t want it, and we learn that some versions of IPA have a bug in the Content-Type that always sets it to application/x-www-form-urlencoded even if we set it to something else. And we have the rest of the data to do the troubleshooting we may need. 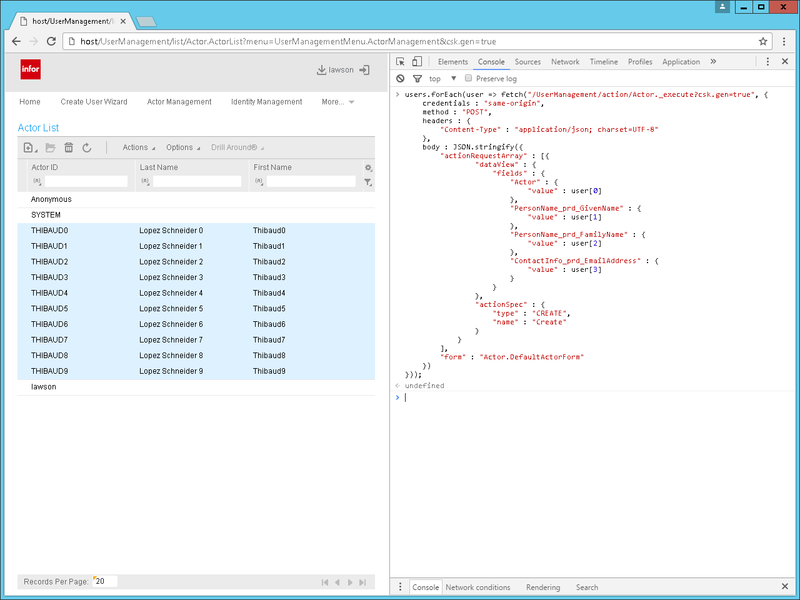 We get the entire HTTP request (header and body), HTTP response (header and body), SOAP request (header and body), and SOAP response (header and body). From that traffic we learn useful information about the Web Service activity node. 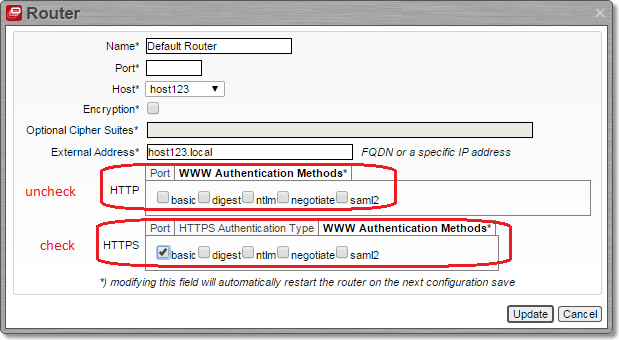 For example, we learn what is the User-Agent String being used, and we learn that IPA will send our private M3 user/password to a server on the Internet even if we didn’t specify it (be careful if you leave Configuration blank, that means Configuration main, and if you had set an M3 user/password for M3 Web Services). And we have the rest of the data to do the troubleshooting we may need. 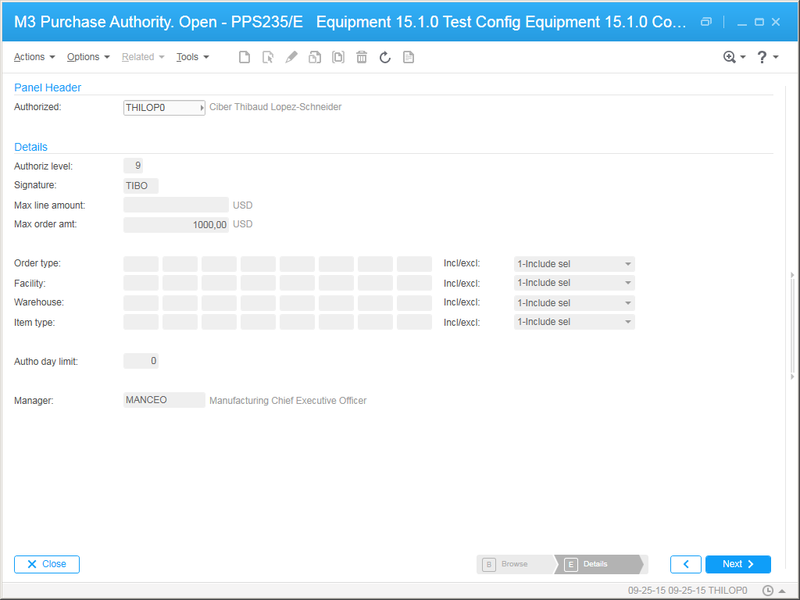 This will prove crucial for troubleshooting M3 Web Services. 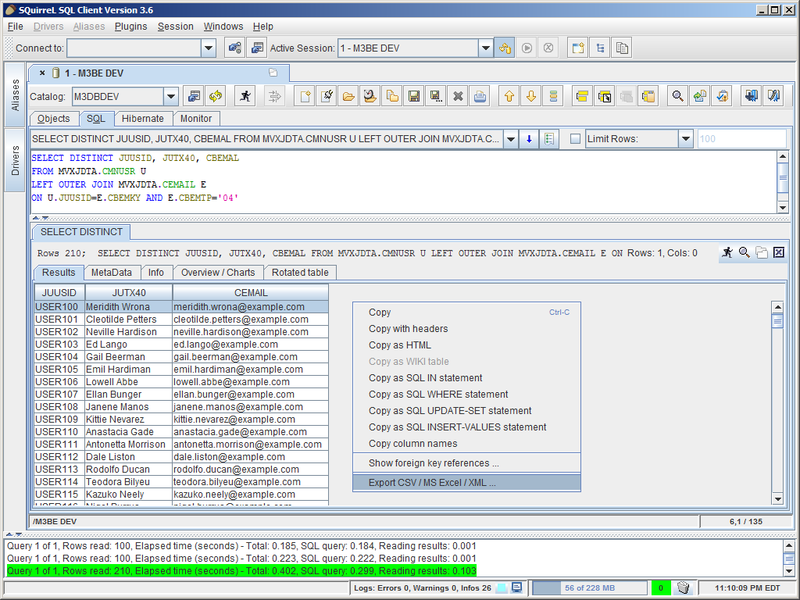 You can even decode JDBC traffic from the SQL Query activity node, including JDBC traffic from IPA to its database. 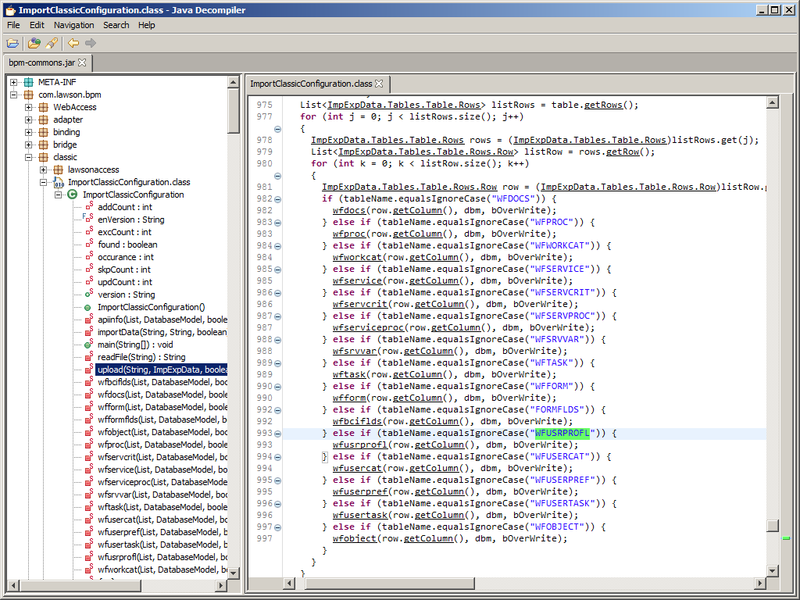 For that, in Wireshark select Decode As > TDS. You can also decrypt HTTPS traffic (encrypted) of internal servers for which you have the private keys, such as M3 Web Services. 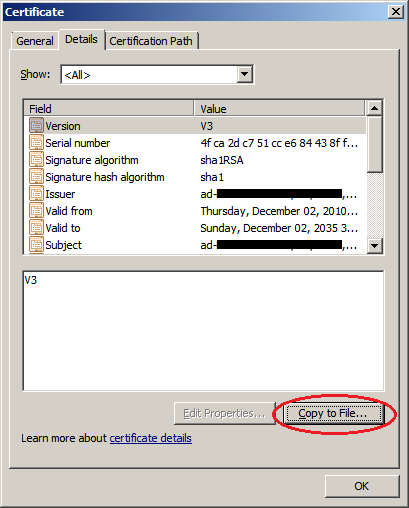 For that, you can follow my previous post on how to decrypt Smart Office HTTPS traffic. I haven’t applied it here yet as I don’t have the server’s private keys so I can’t show you if it works or not, but I’m confident it would work. 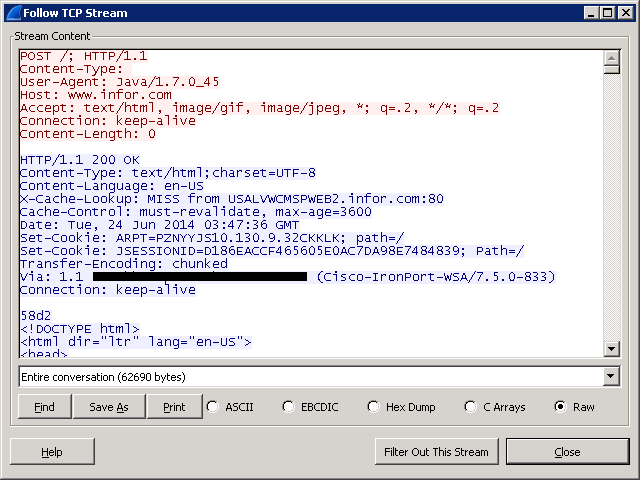 Fiddler can also capture HTTP traffic from IPA/IPD but we have to tell the JVM to use a proxy. I’ve only tested this with IPD; I haven’t tested this with IPA yet, but I’m confident it would work. 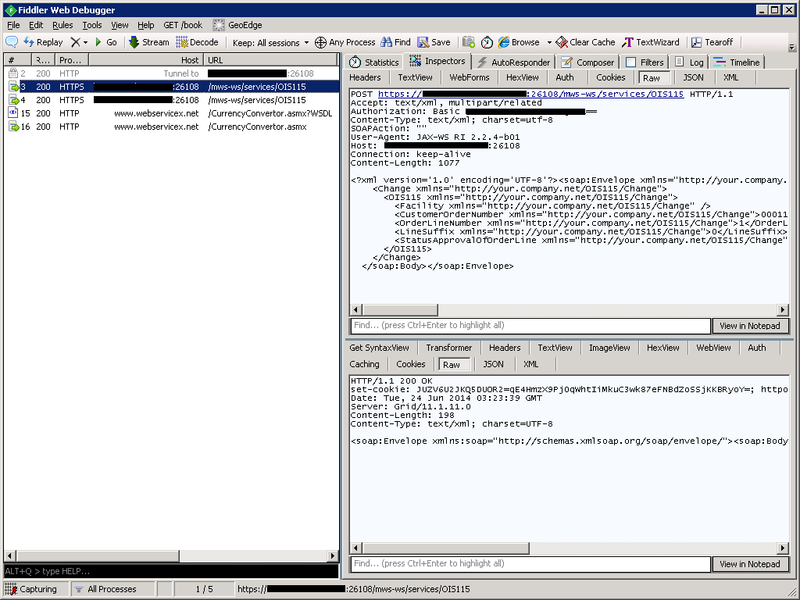 Also, Fiddler only captures HTTP, it doesn’t capture JDBC/SMTP. 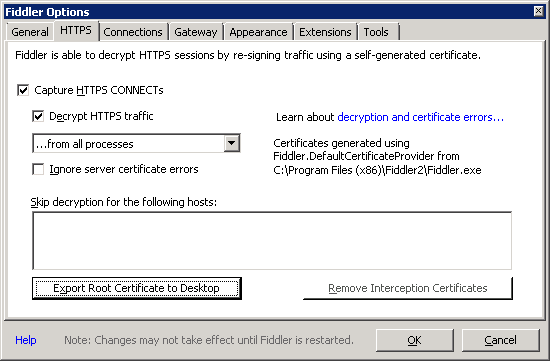 Also, Fiddler can intercept and decrypt HTTPS (encrypted) traffic. After your troubleshooting, remember to remove the proxy arguments from the IPD ini files or IPD will break if you don’t have Fiddler running, and remember to remove the Fiddler DO_NOT_TRUST root certificate. 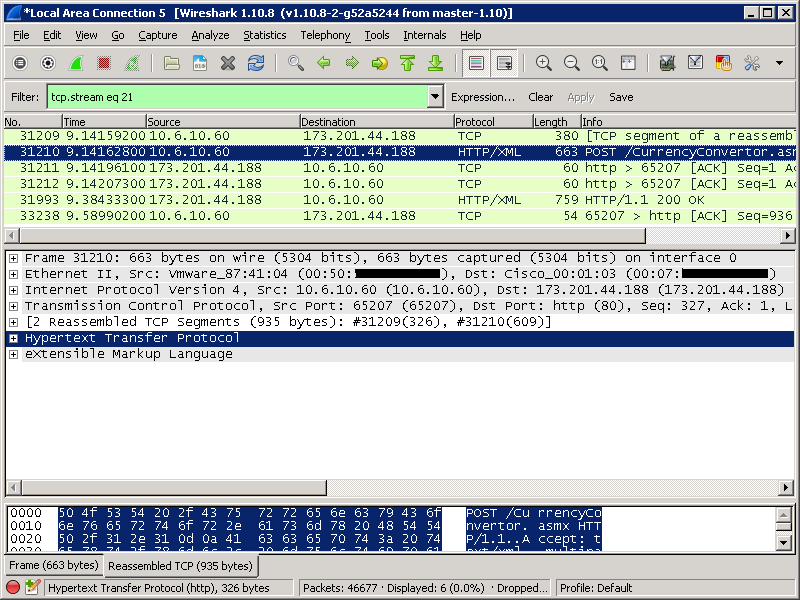 That was a brief illustration of how to intercept network traffic from Infor Process Automation and Infor Process Designer using Wireshark and Fiddler, and how to intercept and decrypt HTTPS traffic. 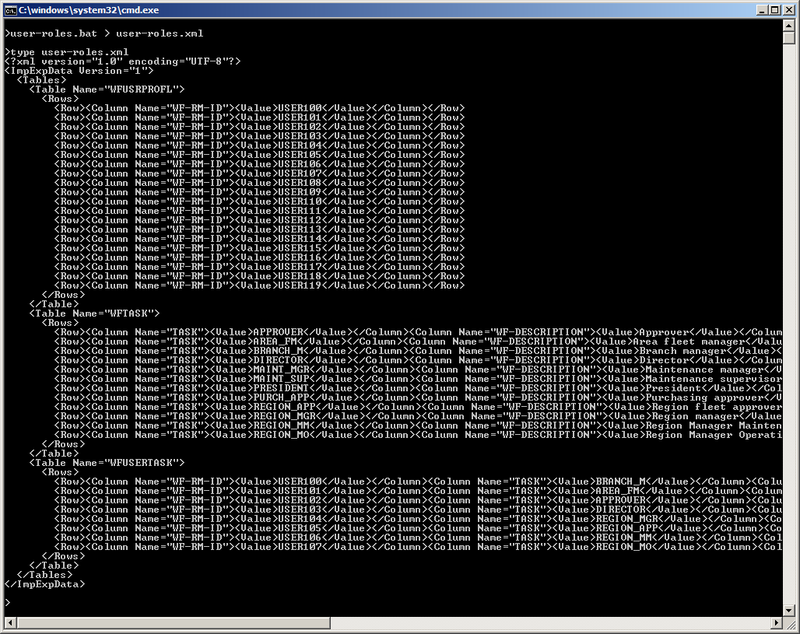 This is very useful for me to troubleshoot the Web Run and Web Services activity nodes, specially for M3 Web Services. That’s it! If you liked this, please follow this blog, leave your comments, and share around you.